Editor’s note: This post contains affiliate links. I would recommend that you borrow the books from your library before buying them on Amazon. 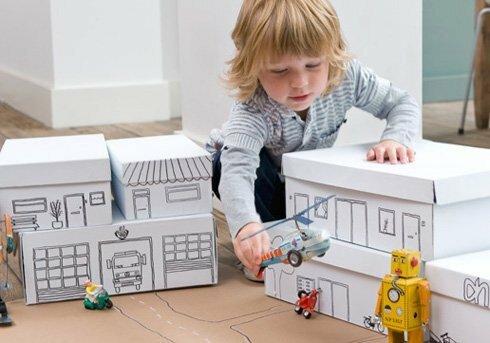 Have you ever spent good money on a fabulous toy only to have your child play for hours with the box? Children are naturally creative and have fantastic imaginations. They can make toys out of anything. When I was a child some of my favorite toys were the ones I made myself. My parents did not have a lot of money, so we had to make do with the basics. Still my mom was really great at encouraging us to make our own toys. Why don’t you make a puppet theater out of this box? Do you think you could turn this shoe box into a dolls house? I would spend hours and hours making puppets and crafting doll’s houses. I love this kind of open-ended play. It is also really inexpensive. A few weeks back I saw a great post from P is For Preschooler about making toys from shoe boxes. It inspired me to put together my own list of toys that children can make for themselves. Most of these projects are really simple, but there are a few that may need some adult assistance. They would all make great family projects – hint-hint. I love these flying helicopters from Babble Dabble Do. They are really simple to make and kids love them. Another simple flying toy are these paper straw airplanes. They are easy to make and work really well. If you want something a little more challenging try a rubber band powered Lego car? Puppets can be made from anything. 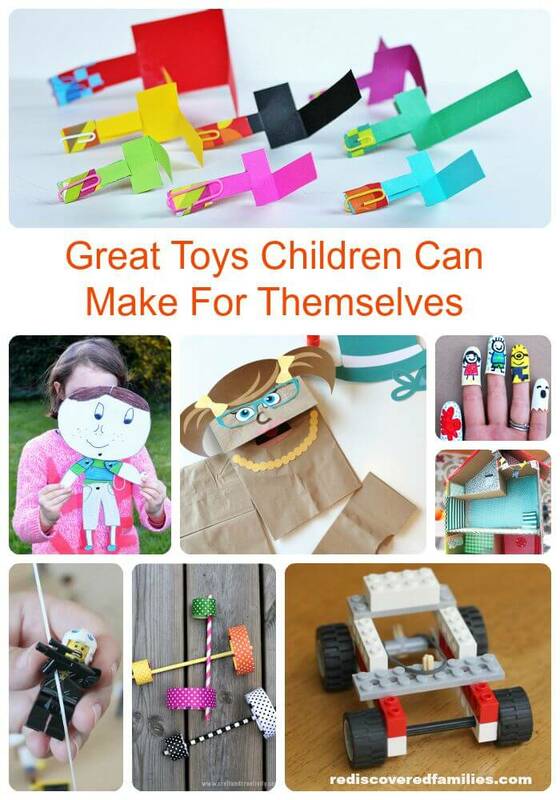 You can make them from cardboard, rubber gloves or paper bags. 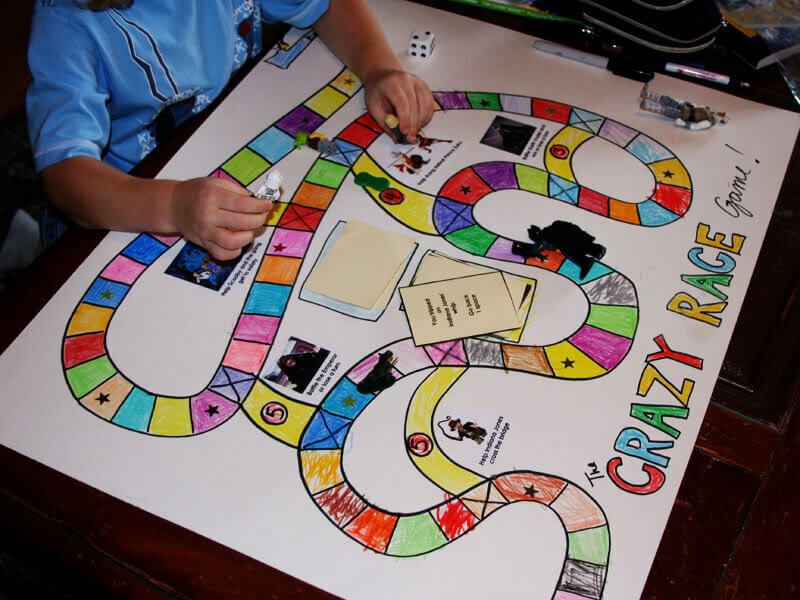 Do your children like board games? Why not invite them to make their own. This is something I did when I was a kid. It would keep me occupied for ages! Gardening Without Skills explains how she helped her older children make their own game. Handmade Charlotte has an inspiring post about making doll’s houses and furniture from cardboard boxes. Then of course there is the post that inspired me to go looking for toy making ideas. Look at all the toys that can be made from shoe boxes. If your children enjoy playing with cars why not give them a roll of road tape and let them create a system or roads on the floor. If you have some spare boxes you could also make a city. 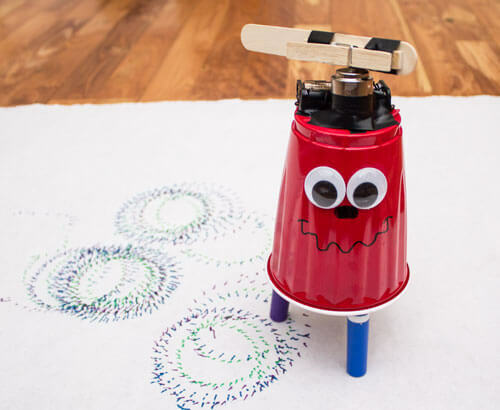 This homemade wigglebot caught my eye. It looks really cool and would really impress your kids. I mentioned it to a few tweens at our library and they gave an enthusiastic thumbs up. We are hoping to make some in the fall. This is a project that will probably need some adult assistance. I’d love to hear from you. What toys did you make when you were a child? What toys would you like to see your children make? Thank you so much for sharing my wigglebot! If you run into any trouble in the fall or have any questions, please let me know. It really is easy. These are all great suggestions and I’m loving your site! I think the kids are going to really enjoy making the wigglebot. It is brilliant! I always try things out first, so thanks for the offer of help if I get stuck. Oh I wish this was written before school holidays, the kids have just gone back to school today after two weeks off…so many fun ideas in this post. We love making toys and have a few things planned for the holidays. My children get more fun out of making their things than they do out of playing with expensive toys. My boys were the same. It’s something that the toy makers would not like to hear! Mum of One recently posted…Guilt Free Flapjack: The easiest recipe you will ever find! Thanks for pinning. I really liked the look of those puppets too. A stash of recycled goods is the best. I love to see things repurposed and the creativity it inspired is always wonderful to see. I hope you enjoy making some of these toys Isabella. I enjoyed reading about your adventures in the garden. That snake looks very scary! I’m definitely going to be trying that wiggle bot! I love the way you use recycled materials Emma!